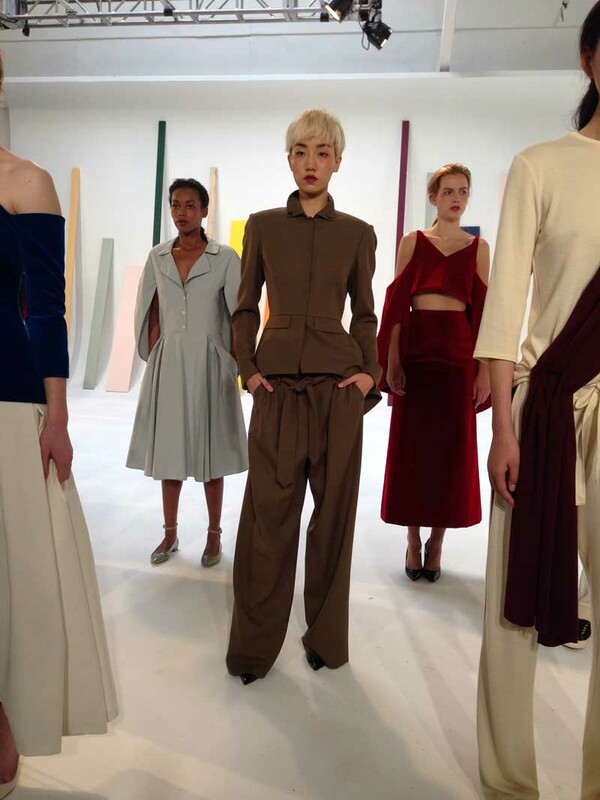 During fashion week, there is always a buzz surrounding new designers and Rosie Assoulin was on top of the heap especially with top editors trekking downtown to the Industria Studio from Lincoln Center uptown on a cold winter day with about a foot of snow on the ground last February. Fusing flowy and architectural silhouettes into one, the result is sculptural volumes that gave the impression of nonchalant elegance. Proposing daywear and eveningwear, Rosie Assoulin found that elusive place of dressing fashionably while also being comfortable.